Know Paschal HS Class of 1966 graduates that are NOT on this List? Help us Update the 1966 Class List by adding missing names. I left high school in May 1966 needing 3 credits to graduate. I joined the Army instead. I did graduate with a GED after I got back from Viet Nam. I was sorry I left behind Betty. She certainly was a girl who tried to reform my bad habits. She was also very good at saying no. I am glad she did. I have sweet memories of a good girl. 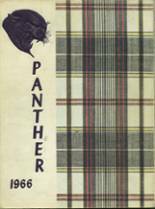 More 1966 alumni from Paschal HS have posted profiles on Classmates.com®. Click here to register for free at Classmates.com® and view other 1966 alumni. Missing some friends from Paschal that graduated with you in 1966? Check the list below that shows the Paschal class of '66.